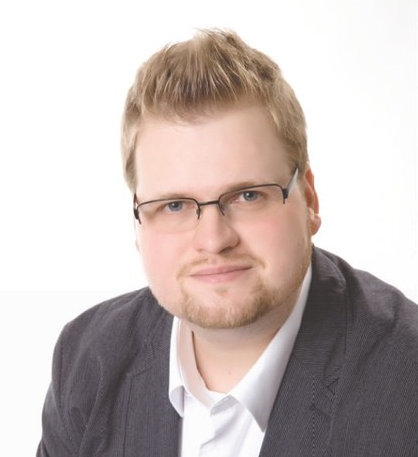 Jochen Fuchs has several years’ experience working in both online and offline trade and is now an editor at one of Germany’s leading tech publications, t3n, where he is responsible for covering eCommerce. Fuchs is just as familiar with new trends as the technology behind the industry’s leading eCommerce systems. 1) As an editor at t3n, you are one of the first to get in touch with the latest eCommerce news. Cryptocurrencies, particularly bitcoin, are attracting more and more attention, and their value is increasing by the second. How would you evaluate the potential of this? The innovative potential lies mainly in the technology behind the currencies. It’s extremely unfortunate that the words “blockchain”, “bitcoin” or something similar failed to appear in the election manifesto the seven parties running for seats in the German government. Personally, I strongly believe that bitcoin has the long-term potential to become a useful currency – far away from the its current image of being a speculative currency. 2) What opportunities and risks do you see in the cryptocurrency? For me, the opportunities from the trade point of view lie primarily in the liberalisation of the money market. At the moment, the networks for payment transactions are firmly in the hands of the major network operators such as Mastercard and Visa. Bitcoin makes it possible for transactions to take place outside these infrastructures that dominate the market. From my perspective, the greatest risk is likely to be the decreasing number of expected miners. Due to the technical changes to the blockchain, which will create a new standard called SegWit2x, the block size in the bitcoin network will double. This will make mining increasingly more demanding and expensive, thus making mining attractive only for a small number of users. Many members of the bitcoin community fear this will place too much powers in the hands of a few miners. Ultimately, the computing power determines what happens in the blockchain. The one who has the computing power calls the shots. 3) In which areas do you think it makes sense to use a cryptocurrency? Also in eCommerce? It absolutely makes sense to use bitcoin in eCommerce – but not for every retailer. There are providers such as Bitpay that implement bitcoin transactions instantly in fiat currency, or rather, in real money. In such cases, the retailer doesn't even come in contact with bitcoin. The most visible effect of using bitcoin in an online shop used to be a pure marketing effect. This can still be the case today, even if the topic no longer attracts as it did in the past. Now here comes the catch: Niche online shops that aim for a particularly nerdy target audience – so people already familiar with bitcoin – can actually generate sales offering the cryptocurrency. For this particular group, the hypothetical effects of the conversion rate can be ignored. But an expensive high-tech gadget or a MacBook leaves a considerable margin from the transaction through the network discount. This can be saved by using bitcoin. However, Rewe will probably continue selling lettuce without bitcoin.